Sometimes it's just all about luck. The photographer was riding Amtrak's eastbound Empire Builder from Washington state, and during the Minot, North Dakota station stop heard a rumble and had just enough time to grab the camera and get this and the next shot of a westbound freight led by SD no. 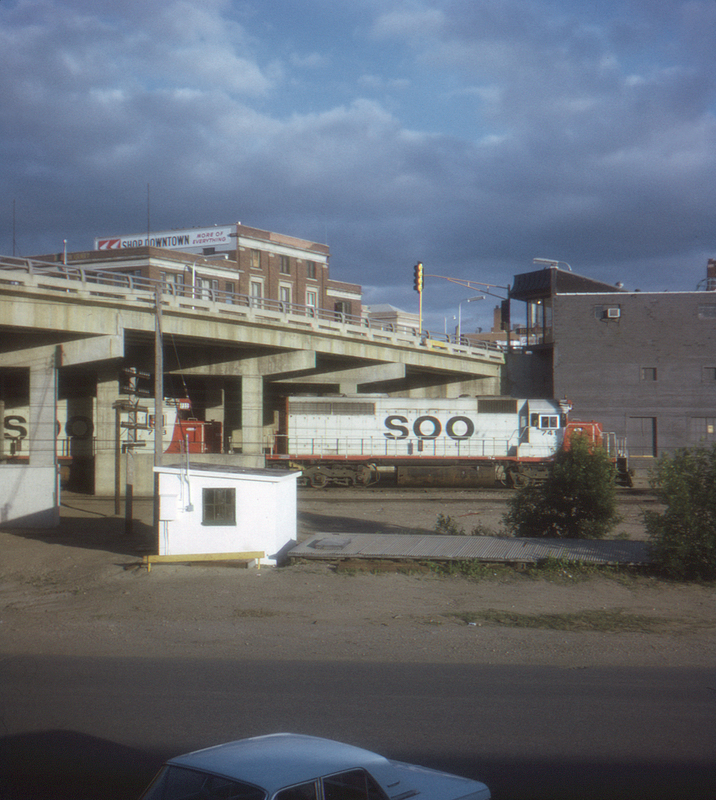 741 and companions 733 and 721 on the Soo Line's adjacent mainline, emerging from beneath the 2nd Street NW overpass.